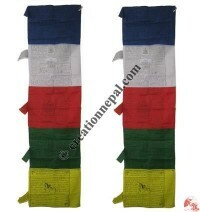 Creation Nepal offers Buddhist prayer flags that are in use for luck, happiness, long life and prosperity. 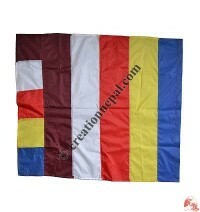 The prayer flags offered by Creation Nepal are made of cotton, polyester and natural paper with block printed on them. 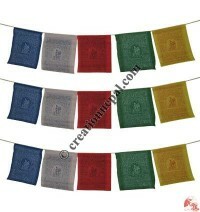 One can use the Prayer flags to be displayed at home, birthdays, weddings, shrines, holy sites, retreat centers, mountain or temple. 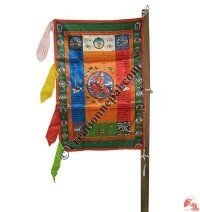 The Buddhist prayer flags are also called Tibetan Buddhist prayer flags as it is the same thing in term of the use and its meaning. 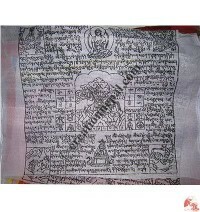 It is believed that the Mantras and the symbols on the Tibetan prayer flags generate and spreads the positive vibrations in the sorrounding when the flags are blown by the wind. 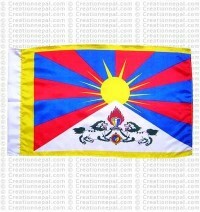 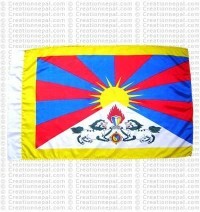 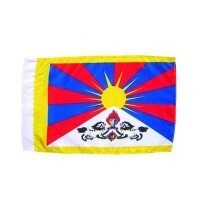 Each flag contains five traditional colors representing the five Buddha and five elements in the universe: Blue-space, White-water, Red-fire, Green- wind and Yellow-earth. 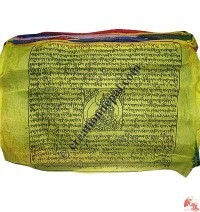 It is believed that the prayer flags represents our life as an inseparable part of the universe as the images of the prayer flags fade from wind and sun like life moves on and again people replace new flags alongside so as our life will be replaced by new life. 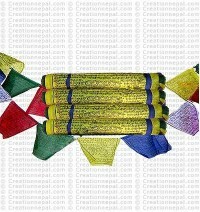 Creation Nepal offers different types of prayer flags like Cotton prayer flag (rolls of 5), Symbols: paper small prayer flags- 25 leaf, Lungta: tiny paper prayer flags- 25 leaf, Mantra: paper small prayer flags- 25 leaf, Tiny prayer flags (packet of 5 rolls), Tibetan prayer flag (packet of 5 rolls), Cotton Medium prayer flags (packet of 5 roll), Large size prayer flag (packet of 5 roll), Cotton small prayer flags (packet of 5 rolls), Extra large size prayer flag (packet of 5 roll), Fine cotton prayer flags (rolls of 5), Fine cotton prayer flags (rolls of 5), Cotton prayer flag (rolls of 5), Wind-horse prayer flag (packet of 25 flags), Dolma prayer flag (packet of 25 flags), Chhepame prayer flag (packet of 25 flags). 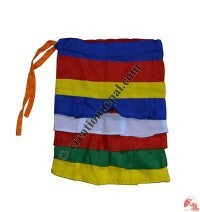 In general, the traditional prayer flags are made of polyester or cotton and supplied in the square or rectangle shape but we have designed in different material and shapes of the prayer flags like Triangular prayer flag, Natural paper prayer flag 9 (Packet of 5 string), Natural paper prayer flag (packet of 5 strings), Buddhist flag, Dhuk, the head of flag pillar, Shining vertical prayer flag etc. 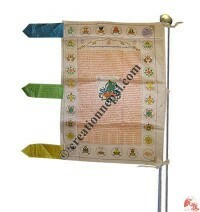 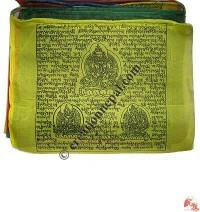 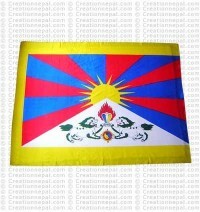 are some of the other prayer flags and available online.